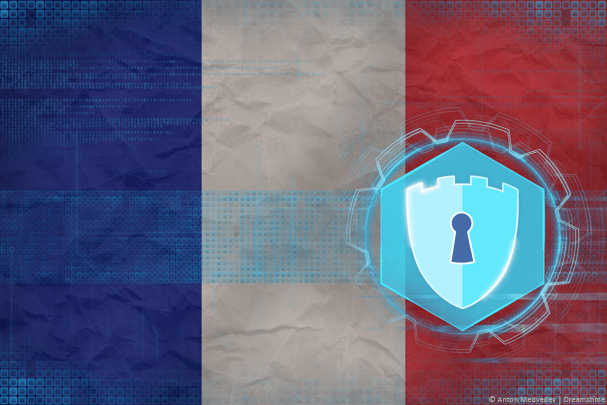 It’s now essential to use a VPN service in any country and France is no exception. Choosing a VPN service can be difficult though and in this guide we’re going to show you the very best Top 5 VPN services for use in France. A quick internet search for VPN services can throw up thousands of options and not all are suitable for use in France. Even those that are suitable can be of poor quality which can leave you frustrated. We’ve been testing a range of VPN services to find you the best for use in France and below we’ve rounded up our top 5 choices. All you need to do is select one and sign-up, you can’t go wrong. Without a doubt, IPVanish is our number 1 provider for use in France. We found them to offer one of the fastest services when used in France which is essential if you want an interruption free experience while protecting your privacy. We also found them to be great for streaming video so if you want to access blocked content from overseas then their speed mixed with access to 60 different countries certainly cover this aspect. There are 14 VPN servers offered in France alone with another 74 in nearby England and 88 in the Netherlands. Other nearby countries including Belgium, Spain, Switzerland, Italy and more which also have connection points. If you want to go further afield then much of the world is covered with North America, Asia, Australia and elsewhere also catered for. Apps are available for Android and Apple devices and software for Windows and Mac. There is even a VPN app for Amazon devices such as the Fire TV and Fire TV Stick. ExpressVPN is another provider great for use in France. They have servers directly in France itself but also in nearly every nearby location imaginable. In fact, ExpressVPN is one of the largest providers available in terms of locations when combining physical VPN servers and virtual locations they total over 94 countries across the world. If you want to access blocked content from around the world or you just want to connect to a specific country for a purpose then ExpressVPN have you covered. Apps are available for Android, Apple, Windows and Mac devices. There is even a client for Ubuntu Linux so if you’re a tech user you’re also catered for. Our favourite feature of the service is the huge 30-day money back guarantee that is available which gives you plenty of time to test the service in France. 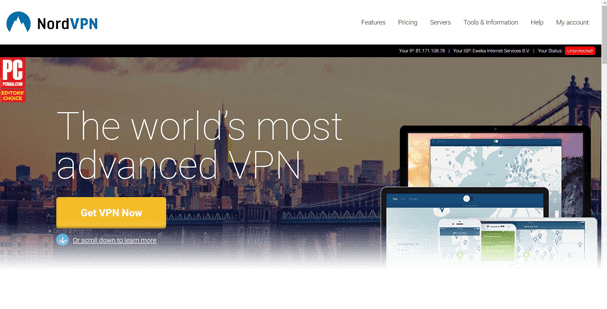 If you’re after a VPN service to use in France that is packed full of features then take a look at NordVPN. They offer some enhanced encryption options that aren’t available elsewhere and they have servers available for specific purposes. One of the most interesting server features is the availability of double-hop which passes your data through two different locations. France is covered with servers that pass from France to the UK and from the UK to France. When the UK eventually leave the EU this will be even more beneficial because your data will be passing through two unconnected jurisdictions. There are also further server options including Dedicated IP Servers, Anti-DDOS servers, Onion over VPN and of course a host of standard servers. There’s also a massive 30-day money back guarantee and one of our favourite aspects of the service is the fact they’re registered off-shore in Panama which puts them outside the scope of traditional spying governments. CyberGhost VPN is one of the most well-known VPN providers but up until recently, their server location selection was lacking. This all changed in the past few months when they expanded massively and now offer servers in over 46 countries across the world. France is extremely well covered with more than 84 servers which is by far more than most other providers. The rest of Europe is also well covered with the nearly the entire continent have VPN server access. Further afield North America, South America, Australia and a handful of Asian countries are covered. Apps are available for Apple, Android, Windows and Mac devices and they’re some of the easiest we’ve used. If you’re new to VPN use then you’ll appreciate the helpful interface showing you the correct servers to connect to for your needs. If you’re an advanced user and you’re looking for a VPN provider that caters to your advanced needs then VPN.ac is definitely the option for you to use in France. They don’t quite have the server numbers of the other providers but France and most of Europe is well covered. While there aren’t a huge amount of server locations VPN.ac do have some advanced options that aren’t available from all providers. We really like the fact they have various OpenVPN encryption options such as XOR and ECC which most other providers don’t offer. There is also a large range of double-hop servers that will pass your data through two locations and unlike other providers who also offer this feature some of the distances involved with VPN.ac are much greater. VPN.ac are really honest about what they log and what they don’t log and for how long. Upon looking at this there is nothing of concern to worry about and in fact the small details they do store are only kept for minimal time and kept securely. If you’re an advanced user then we recommend using VPN.ac in France. All you need to do now is pick one of the providers above. Don’t worry if you’re still a little unsure because they’re all suitable so you can’t go wrong no matter which you end up choosing.